We paid Rs 1000 to the owner lady at Glacier View Guest House, for two days, thanked her and Juley!! Rigzin was all smiling again and since, Chang La was closed last day we decided to do the circuit in reverse direction starting from Tso Moriri rather as earlier planned via Pangong Tso. Hence, the planned target for overnight stay became Chumathang rather than Tangste On the way, we decided to cover few monasteries that falls on the way including Shey Palace, Thicksey Monastery, Stakna Monastery and Hemis Monastery We told Rigzin that we will cover any two on the way towards Tso Moriri and remaining two on the way back from Pangong Tso Rigzin decided to skip Shey and Thicksey and headed to Stakna Monastery. 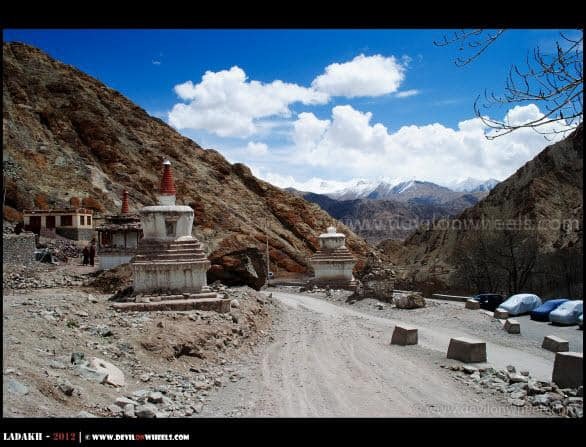 We moved along Manali – Leh Highway towards Karu / Upshi leaving Shey Palace and Thicksey monastery behind. Just after Thicksey about 25 KMs from Leh, there is right diversion that goes over Indus River through a lovely bridge to Stakna monastery. It was founded way back in 16th century by Bhutanese scholar and its name literally means “tiger’s nose” being built on top of a hill shaped like Tiger. Monastery houses the remains of the scholar’s wardrobe, equipment used, beautiful scriptures and fine art painting over the whole walls of monastery gives it a great charm. We explored how they preserve their books in an organized and peculiar way. It was an extremely insightful session by the monk present in the monastery. The view of Thicksey monastery from outside Stakna monastery complex was a treat to the eyes as aqua coloured Indus River flows at the bottom of the scene. After spending some good amount of time we left for Hemis Monastery. We decided to halt for lunch at Upshi, which is about 60 Ms from Leh, as Rigzin was hungry and we also wanted a bit rest before you start the long part of the journey. As we ordered food for Rigzin we decided to have some black tea which settled my headache a bit. It was cold, shall I say very cold. We bought some wafers and biscuits as well so as to keep ourselves fine upto 4 PM types as Chumathang was about 88 KMs from Upshi. 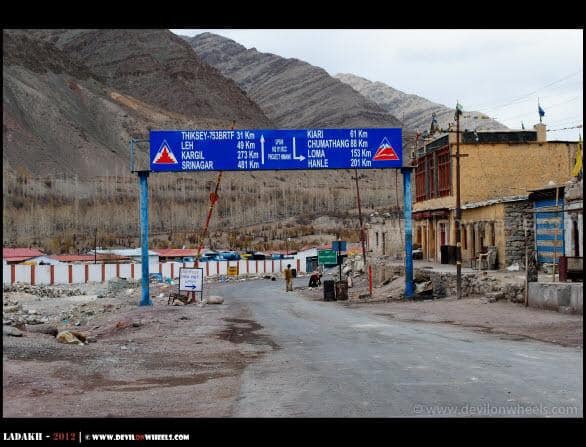 At Upshi, we had to leave the Manali – Leh Highway which goes to right towards Taglang La and Manali where as Chumathang is on the left side road which further goes to Loma, Hanle into the Changthang region of Ladakh. 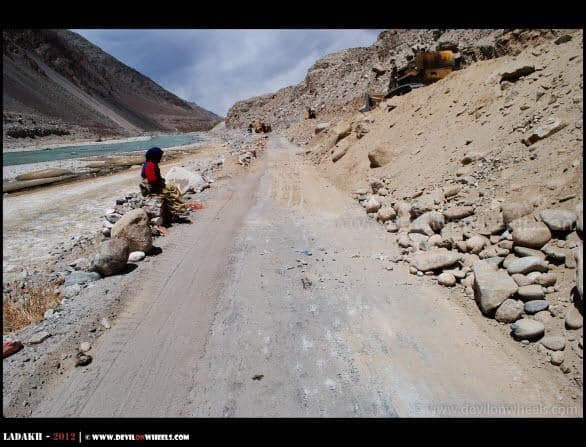 As we ran few KMs into the road towards Tso Moriri, we just had a landslide ahead and waited for it to get cleared. 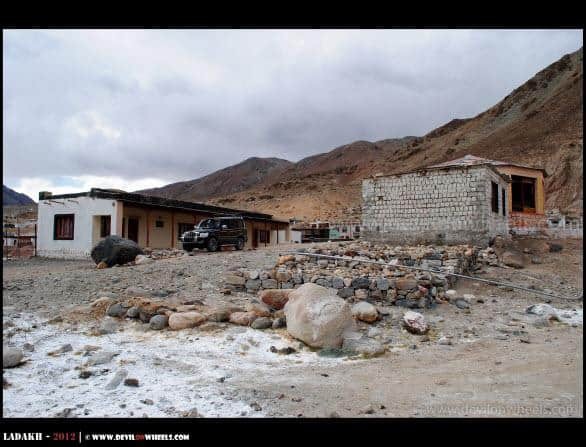 After about half an hour, it was cleared and we were again all set to run towards the Chumathang There is no civilians settlement before Chumathang where you can get something to eat so Wafers and Biscuits we just bought was a perfect decision. The vistas enroute are much like you are running between the canyons because of narrow valley like terrain. 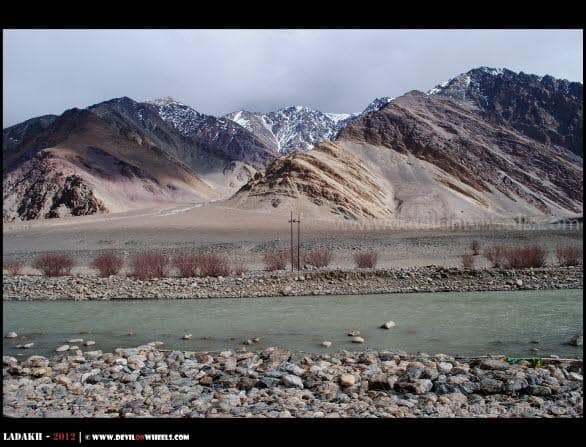 The Indus river flows aside you and so as the mountains on both the sides. 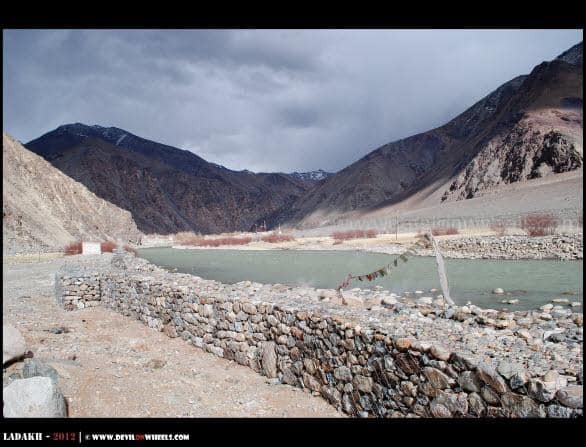 The color of the Indus River was almost green and at many places it was still frozen into white snow. There came a ruined bridge where we stopped for a while and had nice photo session. We tried to step over the bridge but didn’t have the courage to do so apart from Rigzin who jumped across it in no time 🙂 … After some smiling moments, off we were again on road. Sadly, after a while the road widening operation was under way and bulldozers were at work to completely throw huge wall of rocks below. This wasn’t going to get over soon, so wafers were the rescue here as it took about 1 Hr to get the clearance from the BRO guys. We started again and my headache was back again. 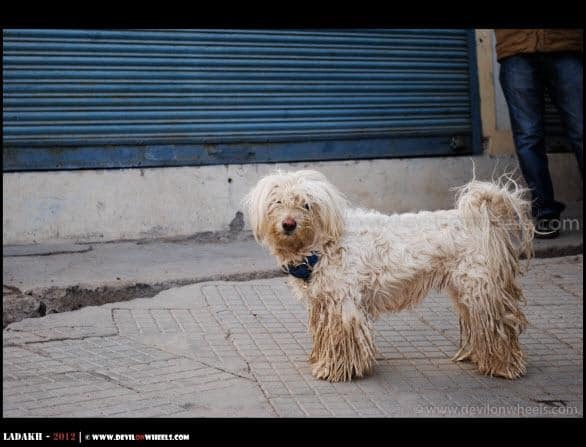 Not sure, what it was, AMS or the side effects of morning bath, perhaps the latter. In between, as we passed Kiary hamlet, an idiot had placed his truck leaving almost very little space to let other vehicle pass by aside the gorge. He was drilling into the mountain to plant the blasts for blasting and as Rigzin asked him to give the side, some exchange of helping verbs between the GREF guys and Rigzin and soon between us. The idiot was not ready to give the space even when there was plenty on the side of mountain where he was drilling. As we were having words with him, Rigzin in frustration took the risk and in one go, got the vehicle from the narrow space aside 😯 … I could not believe my eyes as the tiers were almost on the edge of the cliff at one stage and Tejas who was only sitting with him had his heart in the mouth 😀 … Ahh!! We took some easy breathes and again threw some helping verbs to the idiot GREF guys and helped one more Xylo behind us to get through and were back on the way to Chumathang. The conditions were pretty cold and the cold wind was making the matters worse but scenery held us along 🙂 We took some clicks at the “3 Idiots” shooting point near the bridge as well. 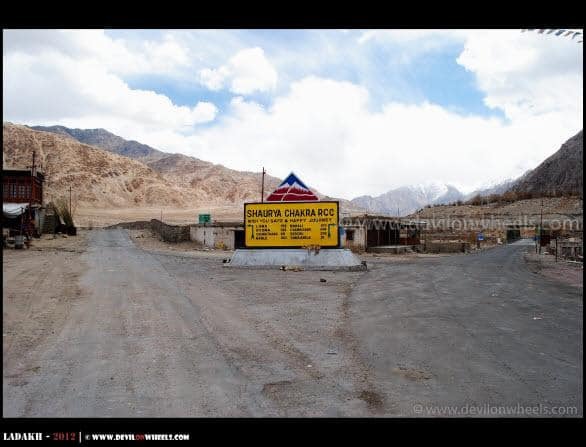 Soon, we reached Chumathang where the Dhabha/restaurant owner runs a basic guest house and a general store that almost had everything on offer, be it baby’s Lactogen/Farex or be it boy’s old monk 😉 and everything in between… All the army jawans around come over to dhabha for any such requirements 😀 … He asked us to select the room and we decided onto one and were surprised to see the Bathtub (though self made) but it was there 😯 … The room was pretty basic but that is what we only needed, a place to sleep. Chumathang has natural hot springs and the water coming out of it was super hot!! I was surprised to see such hot water even in such cold conditions, thank god I put my hands into is cautiously. I put on a layer of thermals more as it was getting colder and colder, even Rigzin had a headache there as my trouble kept increasing. We tried to sleep for a while before ordering food for the night at late evening. As we stepped out around 6 PM, whooaaa… the super cold wind was almost trying to sweep us with it. Quickly we ran to the restaurant where the ladies started preparing dinner for us as the sunset concludes. The headache was troubling me alot but there was no other sign of nausea or fatigue which was a good signal as it might not be AMS but the cold wind into my wet head 🙁 … I was cursing myself why I took the bath!! Within half an hour, dinner was ready and as we had it, wow, it was very tasty and almost gave us the feeling of home. Dal, Mutter Paneer, Curd, Rice and Tawa Roties were much welcomed as we concluded the dinner with black tea. Juley to everyone including the ladies who cooked such nice food and we were back to our room for a good night sleep. 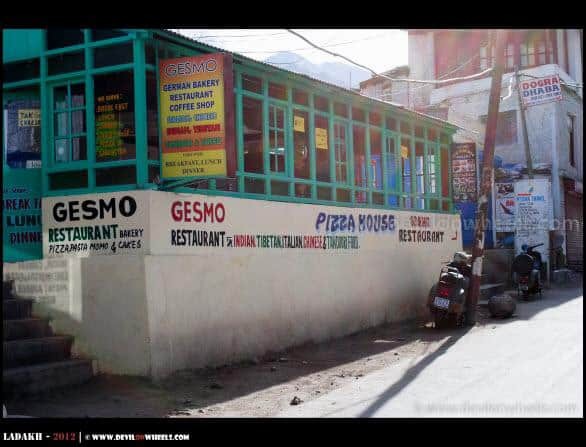 Hi do you have a contact number for the guest house at chumathang? Can i have number of glaceier view Guest house..? 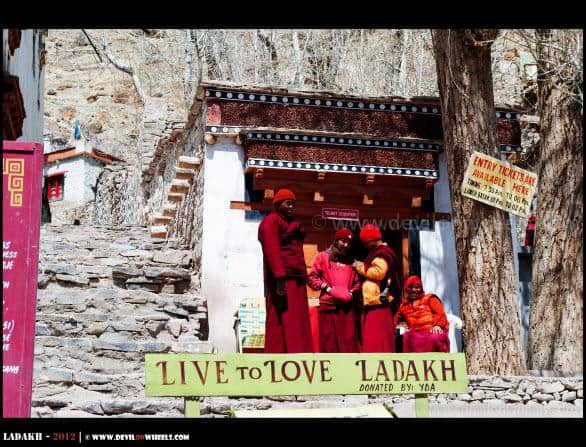 Leh Ladakh. I also need your help to get the maximum out of this trip. First I’ll tell you our tour programme and then my requirements. Tour programme is as under. 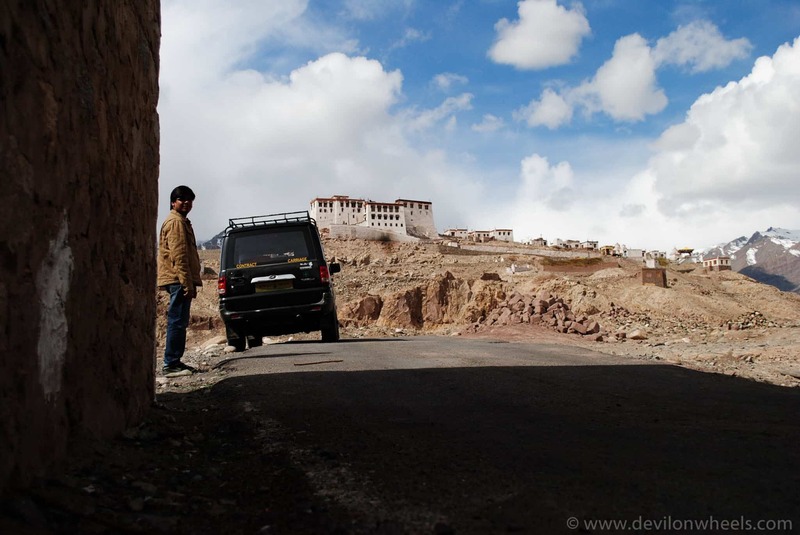 28.08.2012 Leave Sarchu and arrive at Leh. 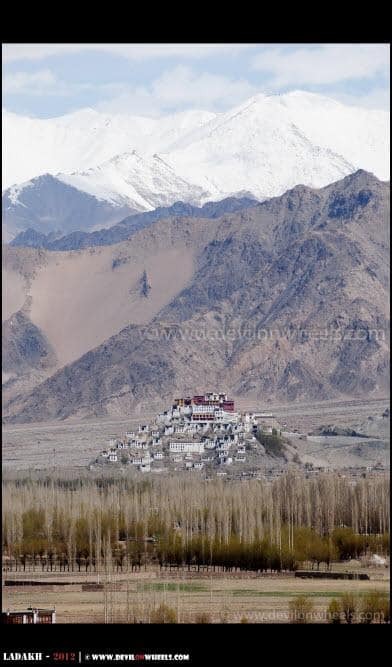 29.08.2012 & 30.08.2012 Stay at Leh for acclimatisation. 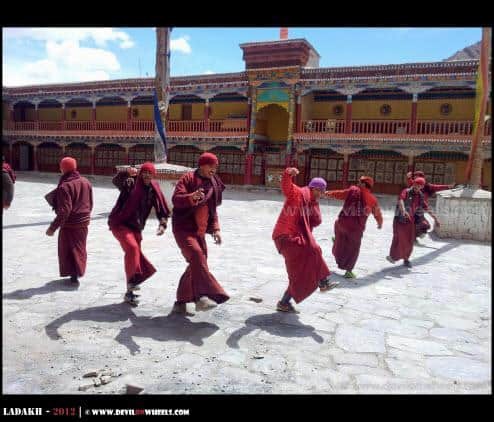 31.08.2012 Leave Leh for Hot Springs(Indo-China border) via Pangong Tso and Phobrang. 12.09.2012 Dispersal of officers to their respective states. by the govt. at all halts. photographs and feel the local culture and local life. For this, i humbly request you to help/guide me regarding the following points. 1) Is it possible to get bikes on rent at each of these places. 3) How is the weather there during this time of the year. Do i need extra winter clothing. 4) Some dos & donts during this journey. 6) Will it be possible to visit Tso Moriri, Chumathang, Pangong Tso, etc. without a hurry. possible to get the permits in advance to save the time? the waters at Pangong really that blue as shown in 3 idiots? I am sorry, I dont know ki kahin maine bahot jyada information to nahi mang li hai. Kindly bear with me. You can also send me your reply on my mail id [email protected]. Also if possible can i have ur cell no. plz. 1. No, bikes are only available for rent in Leh. 2. At all these places there is no certain place defined. There are lots of trails that goes from these places and you can explore any of them depending upon the time left in the day and be back for night stay. 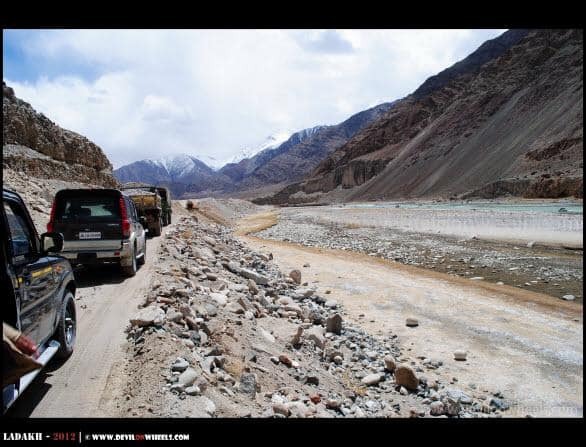 3. in Ladakh, it generally do not rain much but yes on Manali – Leh Highway before Sarchu at least you might face some hassles of rains otherwise it is all pleasant. 4. Well, since plan is actually fixed, cannot really say about them 🙂 … You have like 8 days in between and are you going all the way to Askai Chin? 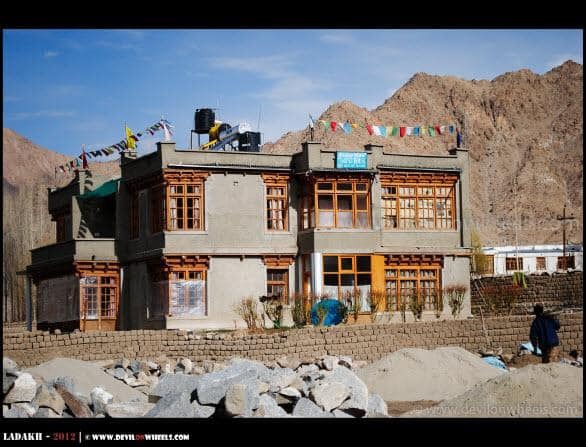 Would be awesome for sure… The only thing I feel is you guys should have skipped Sarchu on the way to Leh and would have opted to stay at Sarchu while coming back. It would have negated chances of AMS. 5. 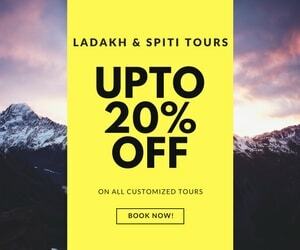 You will be apssing partially through Lahaul Valley (not Spiti Valley) as once you cross Rohtang Pass it isLahaul Valley all the way to Baralacha La Pass and you will be seeing Suraj Tal, Deepak Tal on the way. If you reach early to Keylong may be give try to explore Sissu Waterfall before Keylong. 6. Not sure, if you have Chumathang and Tso Moriri in plan of 7 days. 7. Well, if the plan is booked for 7 days and the rest of the days you are in Leh or traveling aorung will not require you any permit. 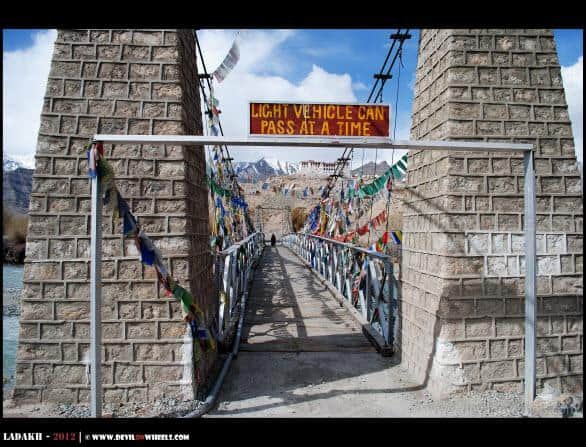 If you are going through Pangong Tso and further to other places inside, then you guys must have arranged the permits. 8. 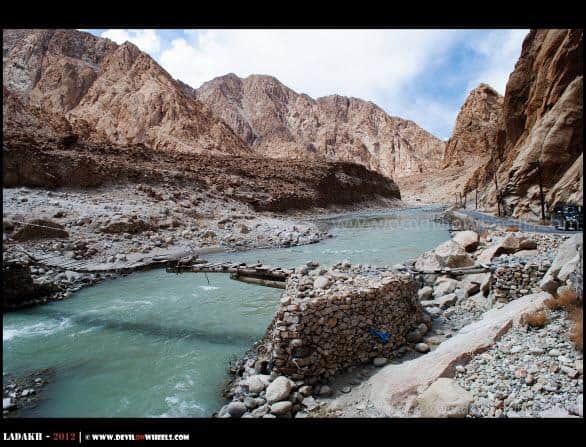 Yes, if you are going to Pangong Tso, you will see the shooting point and the water is much more beautiful than shown in the pictures 😀 … The bridge comes when you come from Chumathang to Leh. and everything. Well, Few more queries are there. are any other better suggestions to utilise this time in a better way, kindly suggest. year and do i need any thermal inner wear or some extra winter clothing. 4) Any other general suggestions or tips from your side. 1. 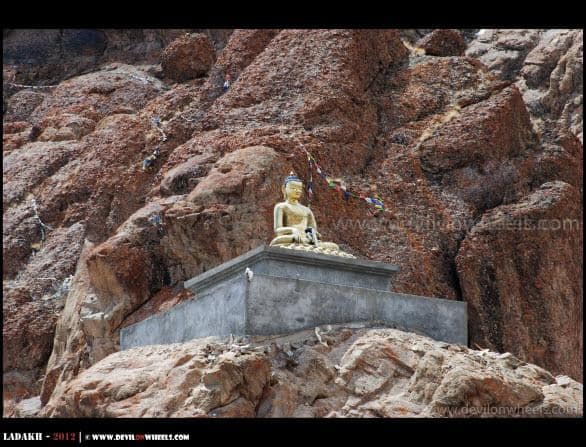 If you have 1.5-2 days at the end of the trip, then yes, you can hire a bike a day before or early in the morning and you will be able to visit Chumathang and Tso Moriri and be back. It takes two days for this trip. 3. Yes, it is better to carry at least a pair or two thermals and a jacket at least. Weather though remains pleasant but when overcast it generally gets cold especially at night. 5. I have offs on weekend only so meeting might not be possible, sorry for that but surely I will email you my contact and you can get in touch with me. Great write up and photos Dheeraj and thanks for the tips well arranged on the site. 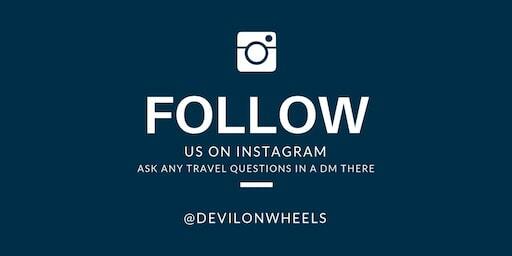 We are planning a 12 day trip from Pune to Leh during August using a hired (black plated, yellow numbered) Innova. Do you think we will have issues with the vehicle due to taxi union at Leh? Any idea about the SUV(Scorp?) 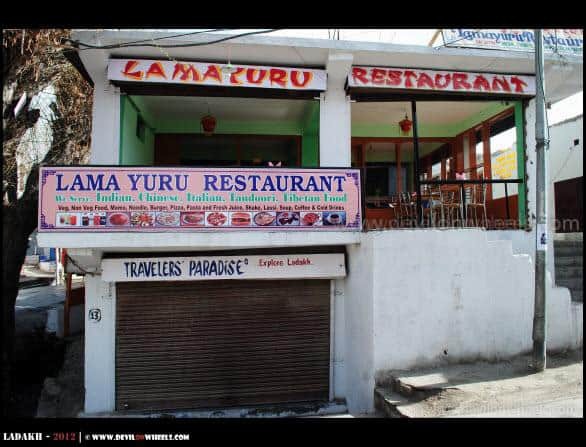 hire charges at Leh, in case? Thanks alot buddy for the appreciation, glad you liked the pictures and the blog. With black number plate, they will not create any trouble, so no worries on that front. 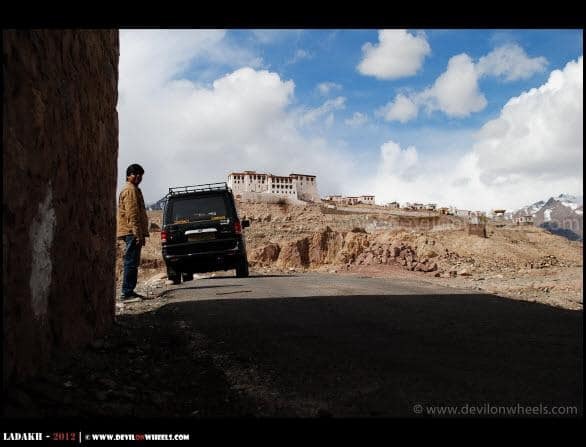 Still, for the current leh – ladakh taxi union rate list 2012-13 including the contacts of some reliable taxi drivers within Leh – Ladakh, check the link here. You can get about 10-15% of discount by directly getting in touch with drivers and of course, talking in person rather on phone always help in bargaining more. 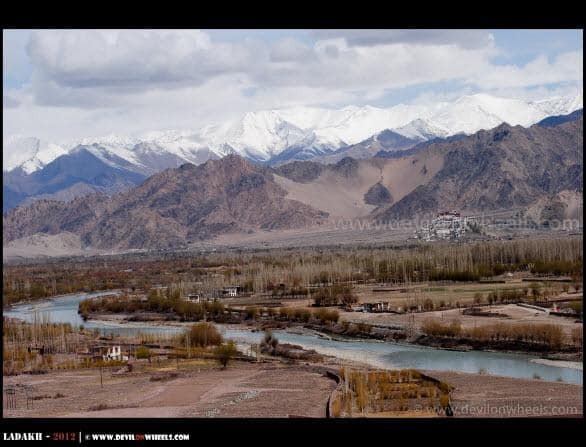 Also, you can check a very balanced and most common itinerary for Leh – Ladakh followed by many travelers including me at the link here: Most Common Itinerary for Leh – Ladakh. We are planning for a visit to LEH during Aug. We are starting from Bangalore on Aug 15 , flight to delhi. Delhi to Manali Volvo bus. 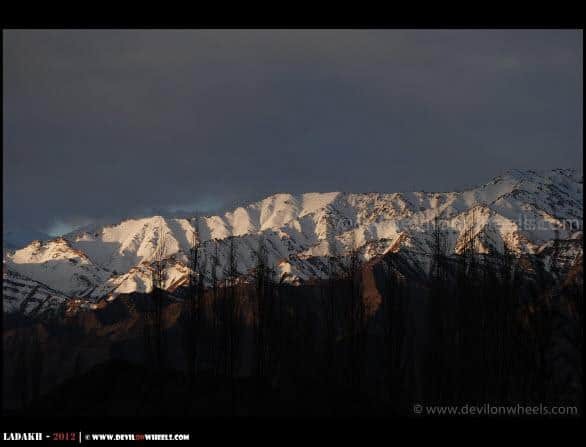 What are the options to travel from Manali to leh? We are 4 guys. Is self driven rented car an option? Heard it is a great scenic drive. we want to enjoy the beauty. Please give us ur opinion. Is it possible in taxi? 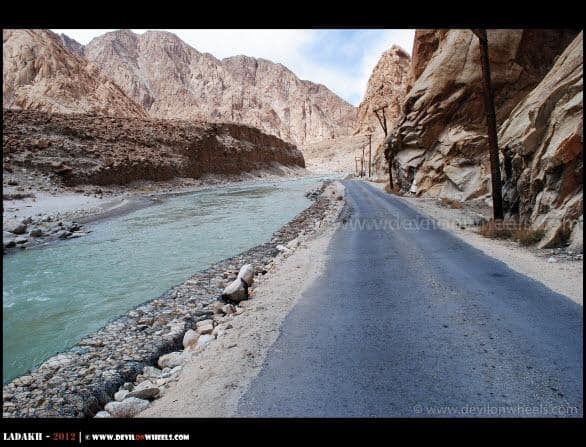 For almost all the answers of your queries and more information about Manali – Leh highway, I will request you to read the complete package at the link here: Travel Guide for Manali – Leh Highway. 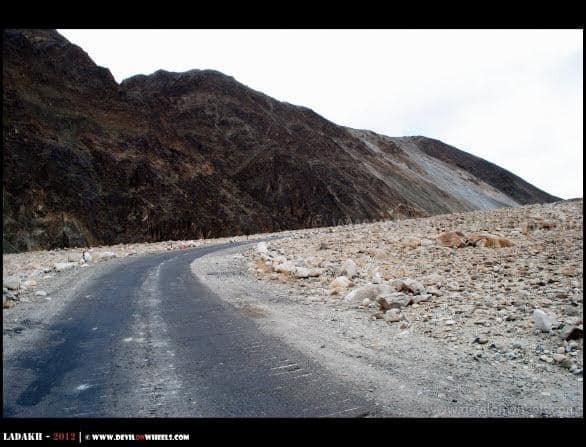 If not all then do read at least the article: How to plan a journey on Manali – Leh Highway for anything related to Manali Leh Highway. This sounds like awesome experience. i had a nice time reading about places , i visit, as an armchair traveller. Beautiful place. You are lucky to visit these places. I am still dreaming. Ok–I did not read all of your post. I focused on things I liked, sorry. I loved that guest house you stayed at. It is cute. 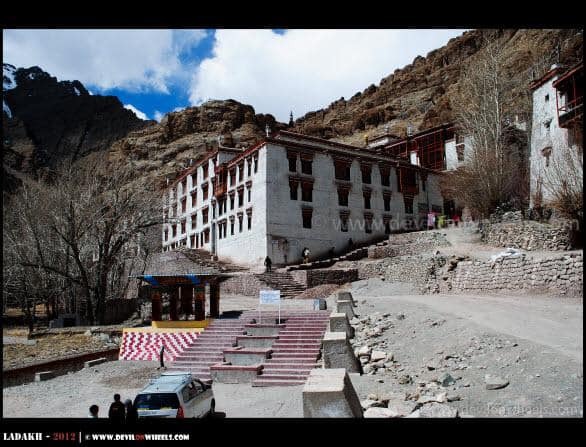 And that Thicksay monastery–lovely shots. 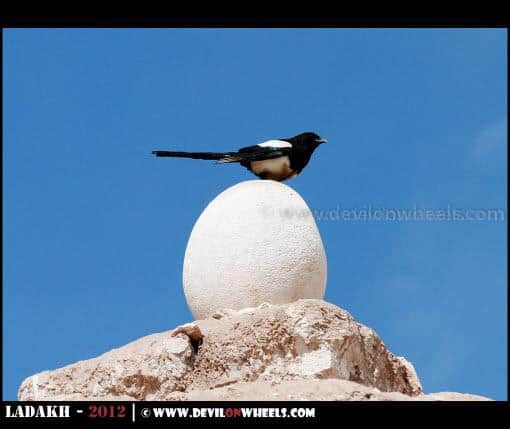 I wonder how they built it there and that too so beautifully. And the roads–you had a good four wheeler I guess. And that bridge–that must have been amazing. Thanks for sharing Dheeraj! Thanks alot. Yes, guest house was pretty decent just that they didn't server the food. 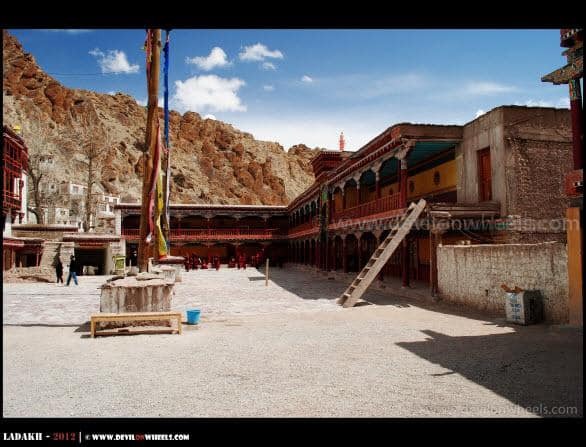 And, yes the monasteries are so beautiful placed and this is the wonder of Ladakh. I could not get similar shot for Stakna but that is more interestingly places right on top of a hill. Standing on that bridge (just one step) gave me shivers and I could not take a step ahead hearing the sound of gushing river below which can be seen from gaps in between the steps there but Rigzin went all the way to the middle. Salute his courage!! It was indeed a good experience.